MichRx Consulting is grateful to all the pharmacists and staff members who are engaged and committed to serving the HIV Community with care and compassion. We have found great rewards in this ourselves and now through our new MichRx HIV Pharmacy Online Certification Training Program we are now offering an online professional certificate training program for you and all your staff members. One of the great keys to success in your HIV Pharmacy Business is your staff, your frontline employees who are working directly with and caring for your patients on a daily basis. Your employees are the engine to your business and key to your success in your HIV Specialty. It is Vital to have each and every staff member, including you, well trained. Untrained staff can ruin your reputation and destroy your business. After working almost 25 years with our customers, Michelle and her Team at MichRx Consulting have solved the problem of creating a well trained caring and compassionate staff. We have created an affordable comprehensive online training program, the MichRx HIV Pharmacy Online Certification Training Program for you and your staff. 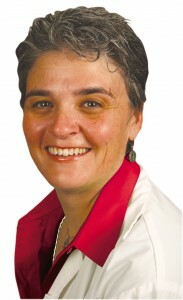 Caring and Compassionate pharmacist, Speaker Author, and HIV Credentialed Expert Pharmacist and her Care MarketingTeam. Why Should You Invest In This Training Program? Trained staff who are better equipped to work with an HIV population of patients. Better trained staff results in improved customer service and knowledge about HIV resulting in increased HIV patient count and increased business opportunity. The training modules can be directly applied in your pharmacy as quickly as they are completed. The training has a practical application to day-to-day operations without the complicated clinical trials and scientific jargon. Each module builds on the next giving you and your staff a complete view of taking care of HIV patients in your pharmacy. This will help you build and maintain an excellent revenue-generating specialty. Not Only World Class Training But CE”s Too! The HIV Pharmacy Online Certification Training Program has been approved for total of 5.0 contact hours (.5 CEUs) of continuing education credit. All sessions carrying the ACPE program number are approved for continuing education credit. The HIV Pharmacy Online Certification Training Program is co-sponsored by the American College of Apothecaries. HIV 101 Part 1–has been approved for 1 contact hour (.1 CEUs) of continuing education credit. Attendees will be required to complete an online evaluation for each CE session they attend to verify attendance and acquire their CE. Attendees must provide their NABP e-Profile ID and birthdate (MMDD) to receive credit for any ACPE-accredited CPE session. It is the responsibility of the CPE taker to give correct information. If incorrect information is provided, the record will be rejected by the CPE Monitor and the CPE credit will not be awarded. If you complete an online evaluation for each CE session you attend at the conclusion of the conference, your CPE credits will be uploaded to the CPE Monitor System within 60 days of completion. If you do not see CPE activity displayed for a session that you attended and it has been more than 60 days since you submitted the CPE to the provider, please contact your CPE provider. All sessions carrying the ACPE program number are approved for continuing education credit. The American College of Apothecaries, Inc. is accredited by the Accreditation Council for Pharmacy Education as a provider of continuing pharmacy education. HIV 101 Part 1 is co-sponsored by the American College of Apothecaries. 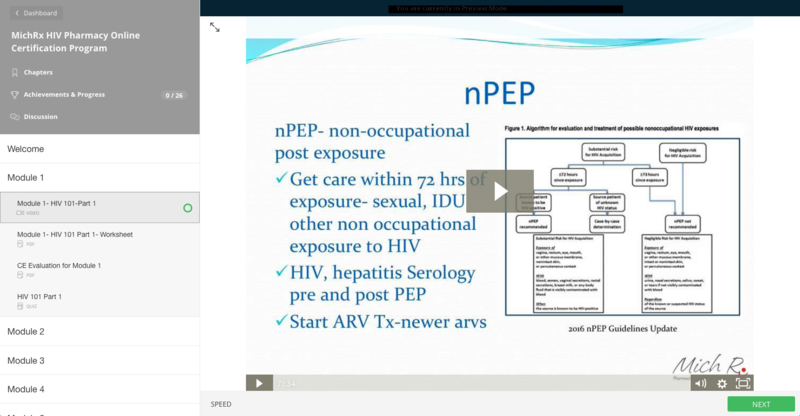 HIV 101 Part 2 – has been approved for 1 contact hour (.1 CEUs) of continuing education credit. Attendees will be required to complete an online evaluation for each CE session they attend to verify attendance and acquire their CE. Attendees must provide their NABP e-Profile ID and birthdate (MMDD) to receive credit for any ACPE-accredited CPE session. All sessions carrying the ACPE program number are approved for continuing education credit. The American College of Apothecaries, Inc. is accredited by the Accreditation Council for Pharmacy Education as a provider of continuing pharmacy education. HIV 101 Part 2 is co-sponsored by the American College of Apothecaries. The Role of the Pharmacist in HIV – HIV Meds – has been approved for 1 contact hour (.1 CEUs) of continuing education credit. Attendees will be required to complete an online evaluation for each CE session they attend to verify attendance and acquire their CE. Attendees must provide their NABP e-Profile ID and birthdate (MMDD) to receive credit for any ACPE-accredited CPE session. All sessions carrying the ACPE program number are approved for continuing education credit. The American College of Apothecaries, Inc. is accredited by the Accreditation Council for Pharmacy Education as a provider of continuing pharmacy education. The Role of the Pharmacist in HIV – HIV Meds is co-sponsored by the American College of Apothecaries. Customer Service Part 1: How to handle Customers for Pick-Up, Delivery & Mailing of Prescriptions – has been approved for 1 contact hour (.1 CEUs) of continuing education credit. Attendees will be required to complete an online evaluation for each CE session they attend to verify attendance and acquire their CE. Attendees must provide their NABP e-Profile ID and birthdate (MMDD) to receive credit for any ACPE-accredited CPE session. All sessions carrying the ACPE program number are approved for continuing education credit. The American College of Apothecaries, Inc. is accredited by the Accreditation Council for Pharmacy Education as a provider of continuing pharmacy education. Customer Service Part 1: How to handle Customers for Pick-Up, Delivery & Mailing of Prescriptions is co-sponsored by the American College of Apothecaries. Customer Service Part 2: How to Work With HIV Patients & Keep Them Happy – has been approved for 1 contact hour (.1 CEUs) of continuing education credit. Attendees will be required to complete an online evaluation for each CE session they attend to verify attendance and acquire their CE. Attendees must provide their NABP e-Profile ID and birthdate (MMDD) to receive credit for any ACPE-accredited CPE session. All sessions carrying the ACPE program number are approved for continuing education credit. The American College of Apothecaries, Inc. is accredited by the Accreditation Council for Pharmacy Education as a provider of continuing pharmacy education. Customer Service Part 2: How to Work With HIV Patients & Keep Them Happy is co-sponsored by the American College of Apothecaries. Your online program was the very first one I took to prepare. It was very helpful and made me realize that I would have to learn a life with HIV, not just how to treat. Great program!! Thank you!! MichRx Consulting is a great resource for any independent pharmacy owners looking to branch out into a new niche. I hired Michelle to come out and train my sales team on all the ins and outs of marketing to the HIV community and within just a few hours, she was able to teach my staff all the basics of HIV marketing. Michelle Sherman and the MichRx Team have been a pillar of strength & hope and a beacon of hope to many people living with HIV/AIDS the world over with their Online Consulting Services. I personally felt uplifted by the weekly Mich's Mantras that Michelle shared online. Very good information about how we can help our clients be adherent.Great presenter, always informative.